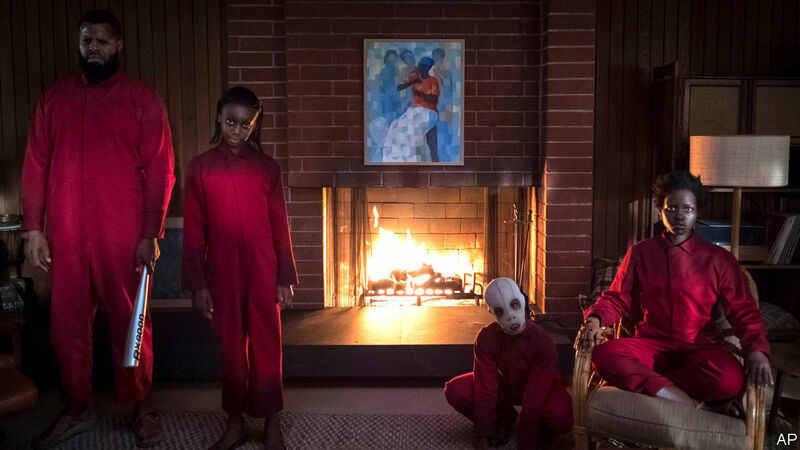 Jordan Peele’s 2017 directorial debut, Get Out, surprised many for not only marking a career change from comedian to director, but also because it was the first horror to win an Oscar since The Silence of the Lambs. Now like Shyamalan’s Unbreakable, Spielberg’s Jaws or Tarantino’s Pulp Fiction, Peele’s sophomore film Us has arrived in cinemas begging the question of whether or not it can live up to the standard of its predecessor. The comparison between Us and Get Out is inevitable, after all the posters had the tag line of ‘A new nightmare from Jordan Peele’ to remind us all of Get Out’s visionary success. However, it’s a comparison that is incredibly unfair to make since, besides the same kind of genre, they are very different films. Get Out dealt with the themes of white people exploiting black people and the damaging effects of positive discrimination. Us, whilst providing some broad social commentary, is more focused on the horror elements and the story of its characters. A fantastically entertaining, confusing and fascinating story to watch unfold yet difficult to discuss without spoiling the film. Although, there isn’t enough explained upfront for the story to make sense, leaving the internal logic of the world broken by the end. At first these claims seemed to make sense, I left the theatre with dozens of questions about the world that Peele had invented and what the meaning of it all was. However, after a few days of mulling the movie over and scouring the internet for explanations, I realised that the movie gives you everything you need in one way or another for you to put all the pieces together. It is a movie that rewards multiple viewings, helping the narrative to align properly. With most films would sound like an unnecessary chore, yet the brilliant performances of leads Lupita Nyong’o and Winston Duke will make you want a second round. Incredible as the unsuspecting Adelaide and Gabe, but equally transformative as their evil counterparts Red and Abraham. The doppelgangers feel so separate and distinct from their twins that it plays as if it is different actors. The two child stars of the film are equally good especially when Alex Evans is needed to portray an average little boy alongside an animalistic monster. Where the film really shines however is the second act, which plays out perfectly with Peele showcasing a very rare horror-comedy hybrid almost flawlessly. Peele is one of a few directors in the industry making original films, giving black performers in the industry a progressive, positive on-screen representation. Hopefully, with the critical and commercial success of Us, this continues to be the case and Peele is allowed to keep creating interesting and thought provoking films.